Even though Serbia seems to be eager to join the EU by 2025, the state of the rule of law does not reflect that fact, writes Srđan Cvijić, Senior Policy Analyst at the Open Society European Policy Institute for euronews. In his review of the study “When the Law Does Not Rule” published by Transparency Serbia and Centre for Investigative Journalism of Serbia (CINS), Cvijić highlights the “seven deadly sins” judiciary system is suffering from, all of them thoroughly analyzed by the study. These include limited accountability of judges and prosecutors for ineffectiveness; the appointment of public prosecutors and court presidents on political grounds; an inordinate amount of discretion allowed to law enforcement when making investigation and prosecution decisions; inappropriate and partial briefing of the media; the misuse and manipulation of statistics; direct political influence on law enforcement; and deliberately dysfunctional criminal investigations in particularly sensitive cases. The first two “sins” are especially apparent due to recent findings. “Statistics recently uncovered by CINS through numerous FOIA requests show that at the end of 2016 there were 1.703 criminal cases before the courts of Serbia that have been litigated for more than five years and 533 cases for more than ten”, writes Cvijić. This is used, he emphasizes, as a smokescreen for many high-level political cases. Political interference on the work of judiciary has been an even more prominent topic due to the still ongoing process of constitutional changes. 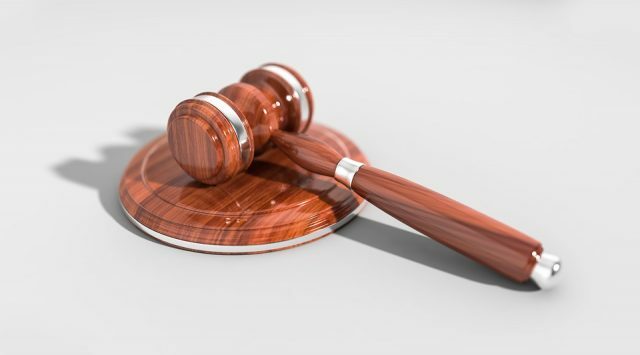 Despite being labeled as an effort to meet European standards, the amendments proposed by the Ministry of Justice actually include provisions that would allow the executive to have more say in the appointment of judges. One of these provisions consists of overhauling the High Judiciary Council (HJC), a body responsible for the election of judges. Currently, it consists of 11 members, majority of which are the representatives of the profession. The amendments would see the number of members lowering to 10, half of which would be „experts“ appointed by the ruling parties. „The government is unwilling to give up its judicial influence, but will work hard to give the impression that it is making concessions. As long as the majorities of the HJC and SPC (State Prosecutorial Council) are not composed of judges and prosecutors, the system will remain controlled by the parliamentary majority, and therefore the executive”, Cvijić explains. What can be done to improve the situation? 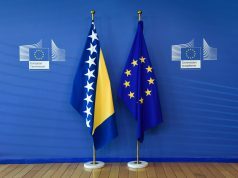 Among Cvijić’s proposals are preventing the interference of the Justice Minister and Chair of the Justice Committee in the Parliament in the work of HJC and SPC; implementation of Action Plans agreed with the European Commission; as well as implementation of the proposals Commission outlined in its February Strategy for the Balkans, such as trial monitoring of cases of public interest. The rule of law should not be overshadowed by the process of normalization of relations between Kosovo and Serbia, Cvijić concludes. 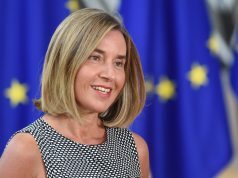 In the context of the dismantling the rule of law even within Europe (Hungary, Poland), no new members will be admitted if they lack a stellar record in this field. 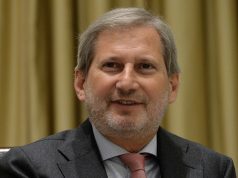 “Regardless of any deal, without meaningful reform of its justice system and the independence of law enforcement from political power, Serbia does not stand a chance of joining the EU any time soon”, he stresses. Next articleEP’s Reports on Serbia and Kosovo: What kind of solution was actually supported?